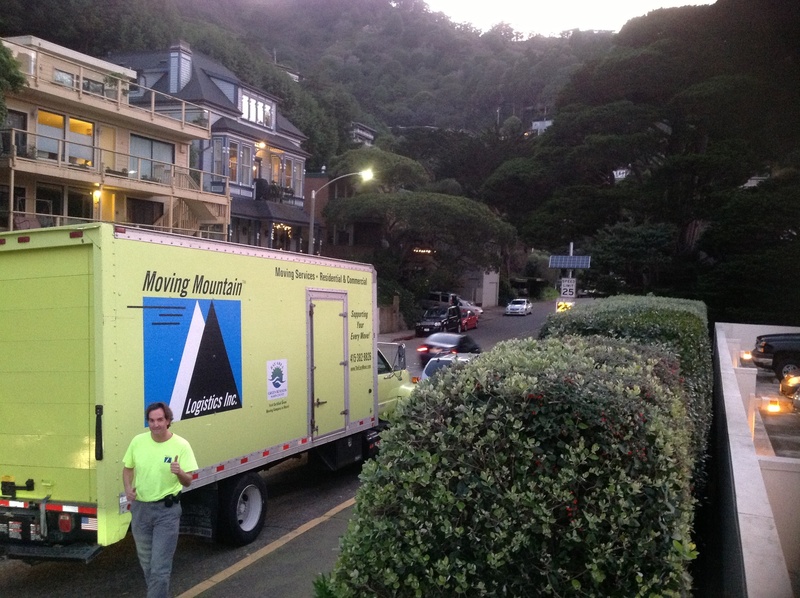 Moving Mountain a Novato Moving Company provides certified GREEN moving services! What is certified green moving services? Moving Mountain, a Novato moving company, was awarded a ‘Marin Green Business Certificate of Compliance’ certified green moving services by the Marin County Board of Supervisors, at the Marin County Civic Center, on August 14th, 2007, for outstanding efforts to reduce pollution & solid waste while conserving water, energy and other natural resources. Be an environmentally responsible business in our community. We reuse wardrobe boxes and cartons, paper, and other materials. We donate unwanted items to donation facilities around the Bay Area. We promote green business practices to other business. We are active in participating with consultants to lead our industry with cutting edge green technologies. Large and Small Single-Family Residential Moving for Homes, townhomes, condos, bungalows, flats, duplexes, and apartments. Large and Small Office Relocation 1 to 250 employees, organized and systemized, equipped with e-crates and heavy duty equipment and trucks. Large Estate Moving with acreage including horse barns . Senior Moving with or without assisted living, on-site from one room to another or move-in or out of a residence (we are a number one mover for Redwoods in Mill Valley, and Atria in Novato). Packing household and/or office goods including art, flat screen TV’s and kitchen glassware and fragile items. Wooden Crating is available if necessary for marble, flat screen TV’s, etc. Temporary Parking Permits we can order if needed (popular in S.F.). Manage Details and Logistics as they concern your move. Do you need us to provide a building you are moving out or into with proof of insurance? Do you need us to set up your crib for your baby’s nap at a certain time? Do you need us to arrange our time around a contractor? Do you need us to supply specific care to a special piece of furniture? Kind and Professional Gentlemen – Moving your household is a personal task that should be preformed by kind, considerate, and professional gentlemen. Moving Mountain is endorsed by the Novato Police, so you can feel comfortable and your items will be safe and secure on moving day. Our gentlemen are employees and are licensed and insured under the PUC, Public Utilities Commission, CAL T – 189933. 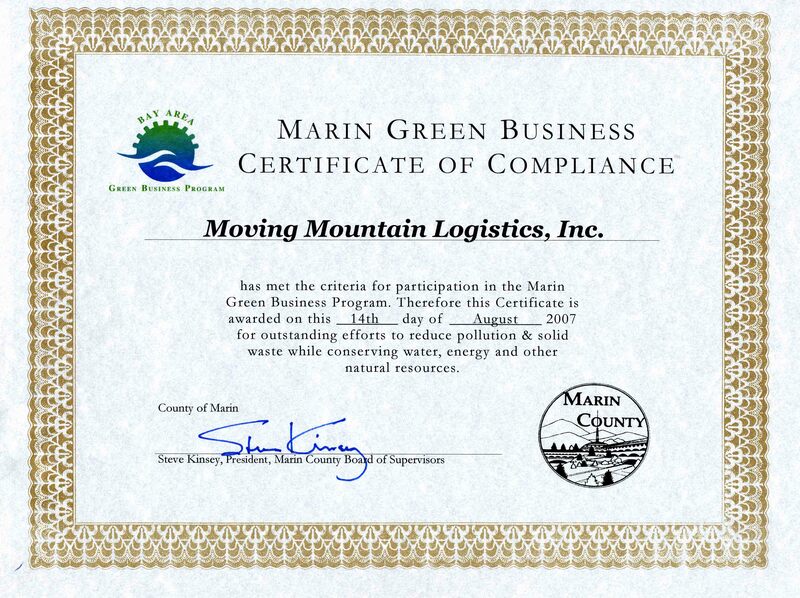 Green Moving – Moving Mountain is the first Certified Green Moving Company in the Bay Area, certified in August 2007. We reuse and recycle cardboard and other packaging. We are active within the business community to educate others on how to become a green business. Move Date Flexibility – We understand your moving date may change due to unforeseen circumstances. It is our goal to remain as flexible as possible and to accommodate your changes and logistics due to home sales and purchasing delays, contractor schedule changes, the weather, etc. We move you when you want! Owner Attention – Attention to the details is hard to find in another moving company. We wrap furniture, pad your front door and railings, and protect your hardwood and carpet flooring. We pay attention to boxes marked ‘fragile.’ With owner attention and communication to the moving crews, we are happy to be claim free over 6 years since inception! 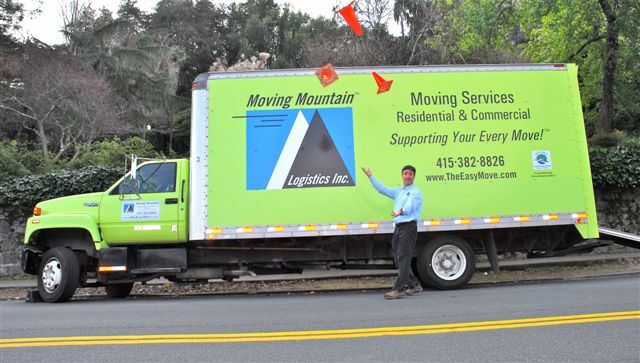 Community Supportive – Moving Mountain gives a portion of our profits to Meals of Marin, a non-profit organization that feeds 2 meals a day, lunch and dinner, to people with terminal illnesses in the greater Bay Area. Thank you for choosing Moving Mountain! 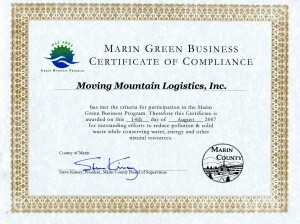 Marin Green Business Certificate of Compliance.